The “Shirat Hayam” community’s autumn family Shabbaton in Odessa brought together fifty participants of all ages in a picturesque location by the sea. The three wonderful days were filled with Jewish study, family activities, master classes, prayers, and intellectual games. The Shabbaton was also the opportunity to learn more about Diaspora Israel Day, recently celebrated in Reform communities around the world. 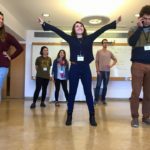 Shnat Netzer is the World Union’s leadership training and Israel experience program that hosts young adults from around the world for eight-ten months of learning, working and living in Israel – with Etgar serving as its core leadership training component. 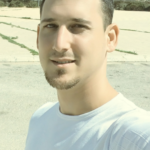 Recently, the World Union sat with the new Director of Etgar, Raviv Alef, to learn more about him and his goals for the program. 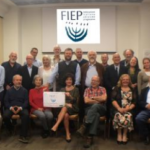 and Shir Hadash in Florence) gathered in Florence to proclaim in one united voice: “Hineinu, Here we are”, and to elect a leadership team to direct the newly-established Federazione Italiana per l’Ebraismo Progressivo (FIEP) – the Federation of Jewish Communities in Italy. 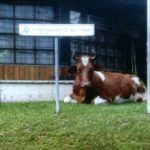 In 1984, two kindergarteners from Country Day School in San Jose, Costa Rica (Saul Herckis and Alberto Bonilla) discovered they were Jewish. 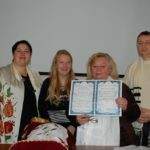 Their parents, who did not belong to the Centro Israelita, the only synagogue in the country at that time, because they were not Orthodox in their believes or practices, began to meet weekly to celebrate Shabbat. 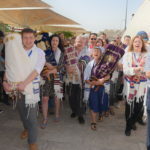 They were soon joined by other families who sought communal prayer and celebration in a more spiritual, and less rigorous, Jewish framework. And in those first gatherings, Communidad B’nei Israel of Costa Rica was born. 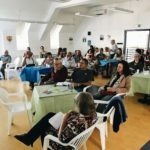 A special event by Arzenu Hungary, the local Zionist organisation of the Reform movement, and the Israeli Cultural Institute was many months in the making. Erika and Tamas from Arzenu invited two outstanding presenters, educators from the unique Arava region of Southern Israel to offer a glimpse of the amazing intellectual capacity, wonderful green projects, research and entrepreneurship thriving in this wild and beautiful, remote desert landscape. 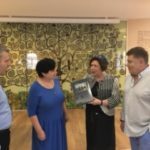 The Elul Seminar of the Eastern European Council of Reform Rabbis took place in Odessa in early September 2017, with six rabbis from across Russia, Belarus and Eastern Europe for coming together for a three-day seminar that fosters sharing ideas, stories and inspiration for preparing prayers, sermons and events for the upcoming Jewish month of Tishrei. The World Union is proud to announce the creation and launch of a newly-created IberoAmerican Institute for Reform Rabbinical Education (IIFRR) on September 7, 2017. 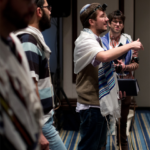 In partnership with its regional organization, the World Union for Progressive Judaism – Latin America, Fundación Judaica and Centro de Espiritualidad Judía Mishkan, the Institute will training educators, community leaders and rabbis in Spanish and Portuguese to growth and strengthen Progressive Judaism across the region. 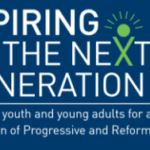 Please fill out this form to share "Condemnation From Across our Global Movement: The World Union And Regions Respond to Netanyahu’s Comments on Reform Judaism" via e-mail.